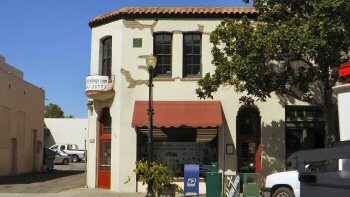 Paso Robles wine tasting - an easily walkable tour of some of the area's wineries through one of the nicest little downtown areas anywhere. And if that isn't enough, how about a little fine art on the side? 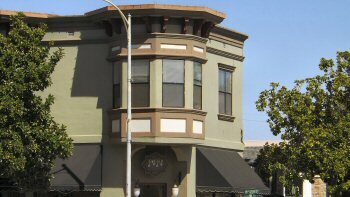 Taking a downtown Paso Robles wine tasting tour is a fun way to sample the area vintages. There's a lot to be said for wine tours that take in the countryside and the beauty of vineyards on the rolling hills. Sometimes, however, you might not have the time or inclination to take the many wine trails that wander through the region. For those times, taking a leisurely walking tour of wineries in the downtown area is a great solution. Check out the map below to learn more about each of the wineries. If you click on any of the green arrows, the name, address, phone and hours of the tasting room will appear. The blue marker on the map is the location of Studios on the Park a wonderful open environment studio with many artists and galleries. SOTP would be a fine stop on your downtown walking tour. 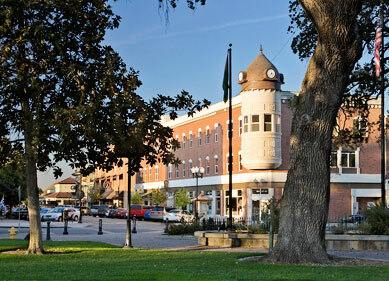 Food, wine and history - Paso Robles' downtown area is compact and easily walked. Central Coast Food Tours offers a nice lunch time package taking in all the attractions that Paso has to offer. More information and booking are found here. 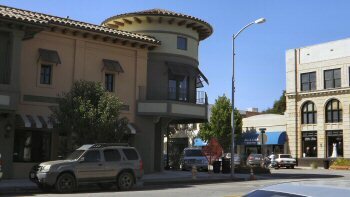 As you're taking your leisurely walk through Paso Robles, you might want to take note of some of the buildings. There is some interesting architecture, including the Carnegie Library anchoring the park. 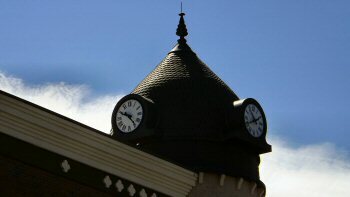 The Acorn Building and several other buildings with turrets are all in the area of the wine tour. There are probably more brick buildings in the downtown than in most California cities. In short, that means that you'll enjoy your visit to Paso Robles.